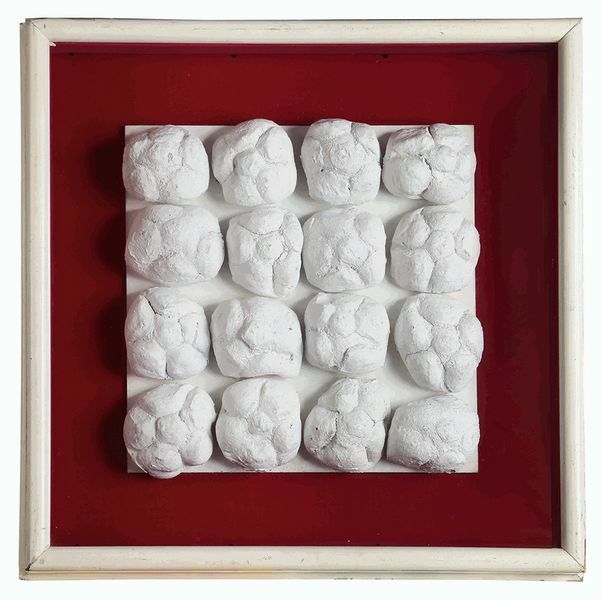 The renowned Italian artist Piero Manzoni emerged as a powerful voice for the avant-garde in the 1950s, debuting as an artist at the ‘4a Fiera mercato: Mostra d’arte contemporanea’ in 1956. A self-taught painter, his work heavily featured anthropomorphic silhouettes and the impressions of objects. 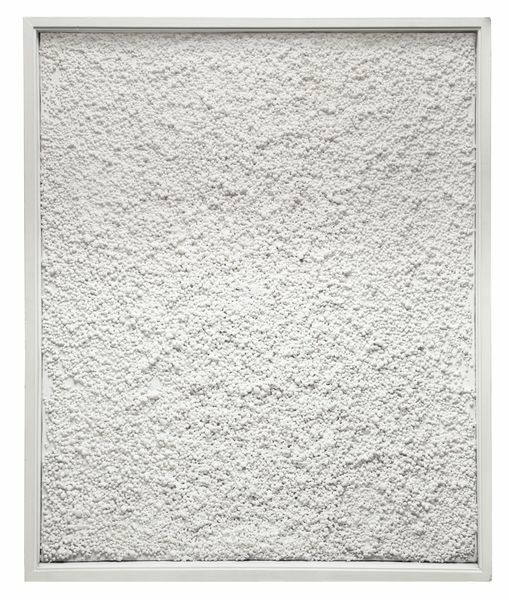 He began making his ‘white paintings’ – later named ‘Achromes’ – in 1957, at first with rough gesso and then with kaolin, as well as with creased canvases or surfaces divided into squares. 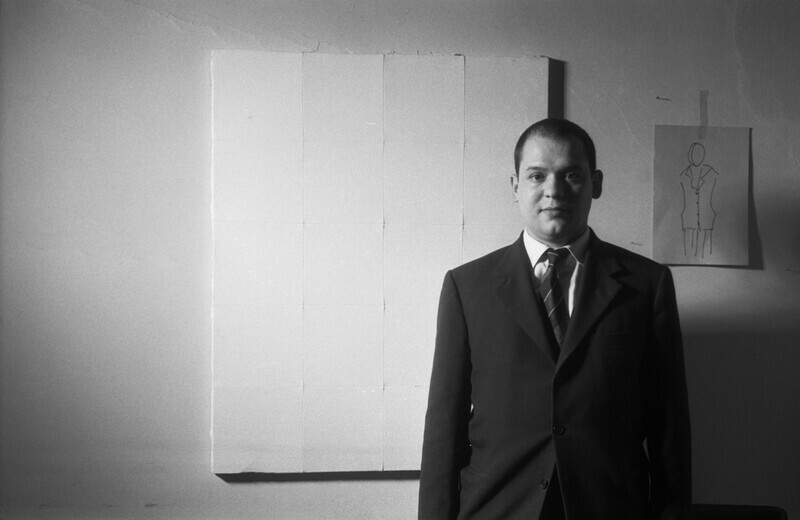 In 1959, the artist began his series which experimented with the display of inflated white balloons. 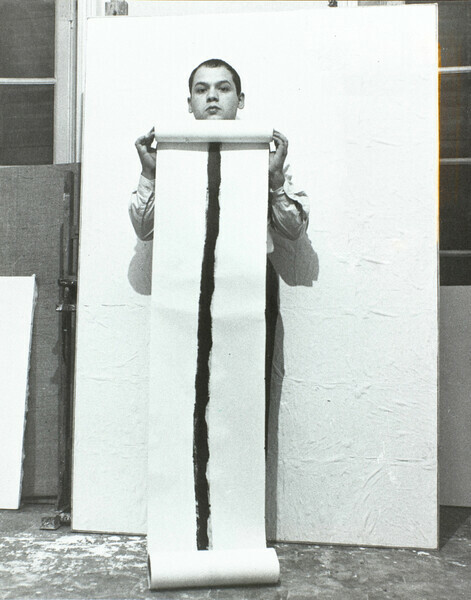 The results – ‘Corpi d’aria (Bodies of Air)’ and ‘Fiato d’artista (Artist’s Breath)’, where balloons were poised on a tripod or wooden plinth – extended the creative experimentation first visualized in the ‘Achromes’ as Manzoni embarked upon works that used an entirely new visual language, reframing artistic interpretation. 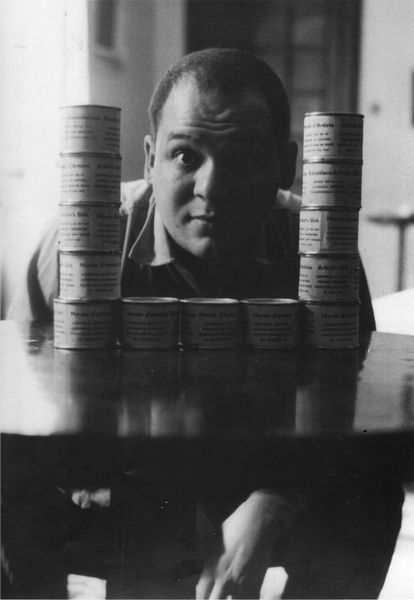 In July 1960, he presented ‘Consumazione dell’arte / dinamica del pubblico / divorare l’arte’ in Milan, during which he offered the public hard-boiled eggs with his thumbprint on them. 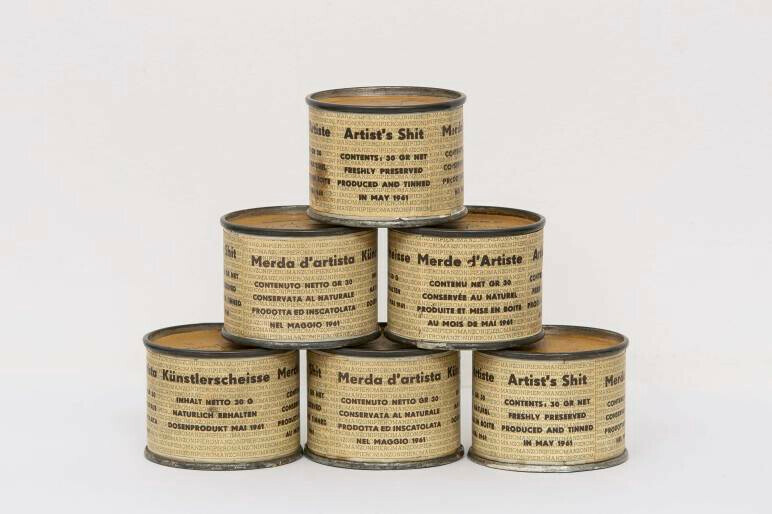 By 1961, Manzoni was signing actual people, turning them into ‘living sculptures,’ and awarding them with a certificate of authenticity. 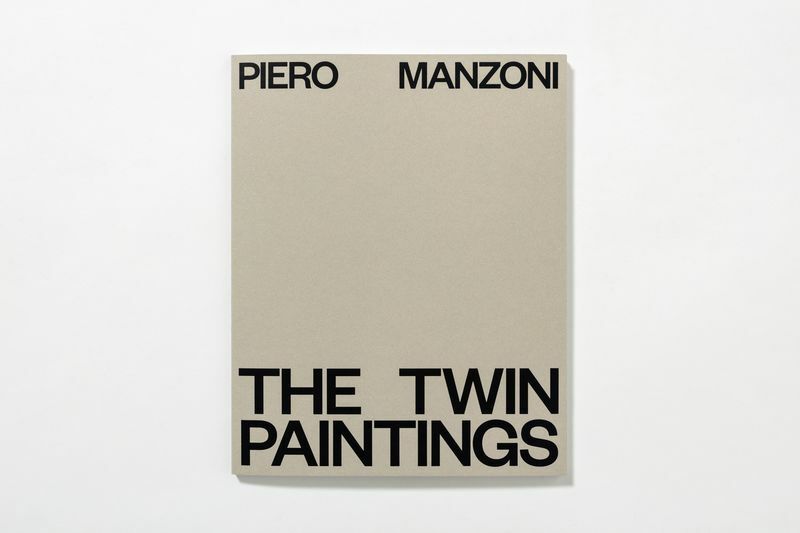 Alongside his work as an abstract avant-garde painter, Manzoni contributed to and collaborated with numerous artist groups and initiatives. As his artistic activity intensified, he began participating in group shows and signing manifestos alongside other artists, including Enrico Baj, Guido Biasi, Ettore Sordini, and Angelo Verga. For a period of time he embraced the Movimento Arte Nucleare, before abandoning it in 1958. 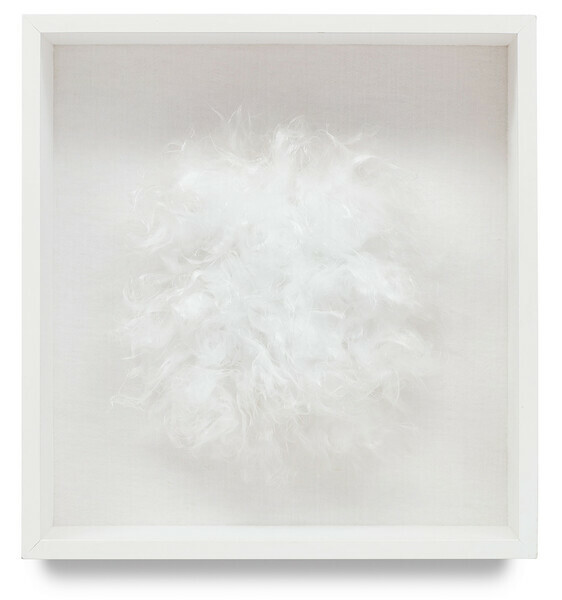 2013 Gualdoni, Flaminio, 'Piero Manzoni: Vita D'Artista', Monza: Johan & Levi, 2013. 1989 Codognato, Mario (ed. 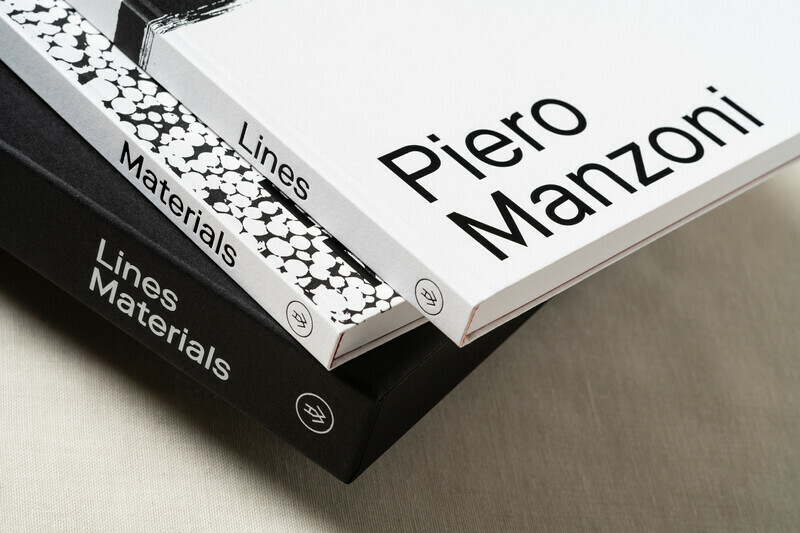 ), 'Piero Manzoni. Works 1957-1961', London: Karsten Schubert Ltd.
2017 Molokotos, Michelle, Hussey, Amy, Goebel, Katherine (project coordinators), 'Monochrome. A dialogue between Burri, Fontana, Klein, Manzoni and Stingel', New York, 2017, p. 47, p. 56, ill.
Dantini, Michele, 'Modern & Contemporary Art', New York: Sterling Publishing Company, Inc.
Ferretti, Giorgio, Gallwitz, Klaus [+ et al], 'Arte Italiana, Esperienze Degli Anni '60/80. Arte Concettuale, Arte Povera, Construttivita, Arte Cinetica nella Collezione Della Banca Commerciale Italiana Francoforte', Turin: Allemandi & C.